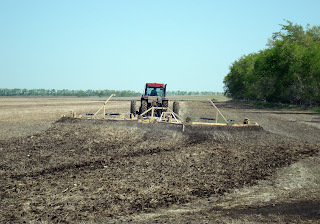 On Friday, May 29, we began work on AdFarm's Pinto Bean field. 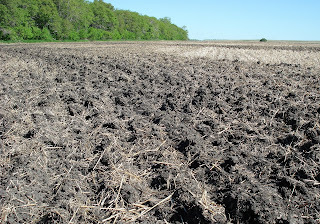 Above: The stubble field looked dry enough for us to begin working the ground, readying it for pinto beans. Above: The Phillips harrow turns the soil and breaks up the dirt, which helps the ground dry faster. 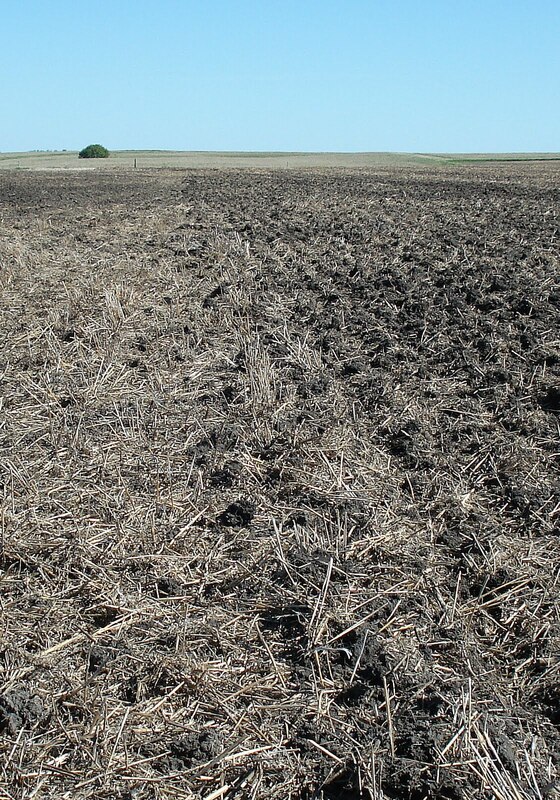 Above: The next step is a deep band application of fertilizer. We use the Wilrich Air Drill for the granular application of 11-52-0 with zinc and nitrogen. 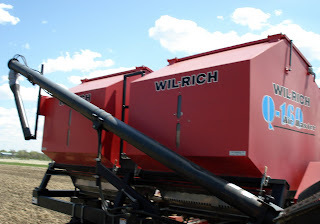 This mix is often used for pinto beans. Recognize the drill? 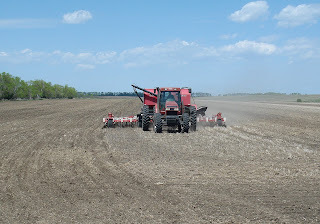 It is the same one Fred used for planting canola and Joe and Bill changed over in previous posts. 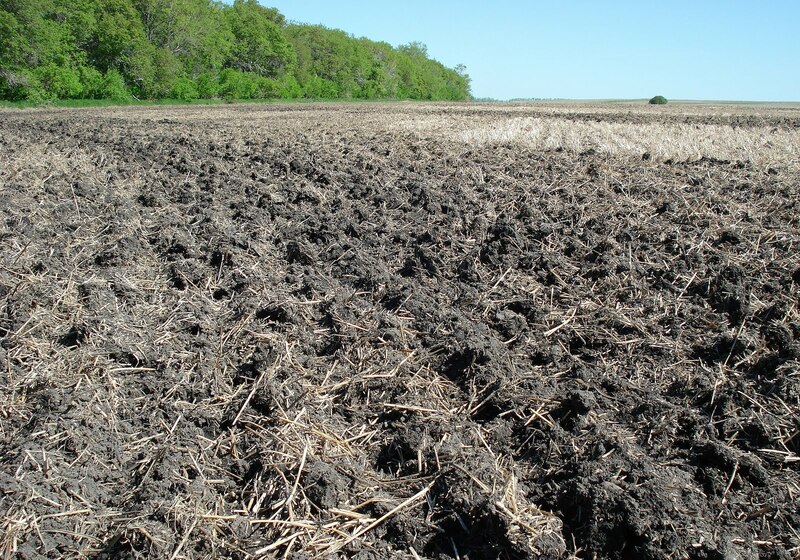 Above: Sometimes the hoses that deliver the fertilizer to the shovels become clogged with a small piece of wood or fertilizer chunk. 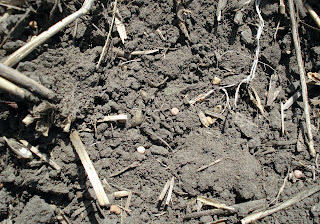 We can monitor this from the cab by looking at the fertilizer levels in the two hoppers. 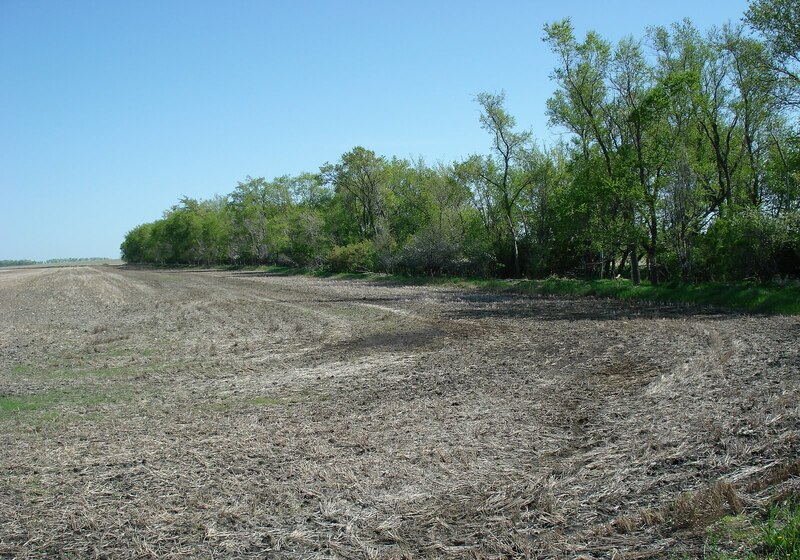 If you click on the image above, the photo will enlarge. 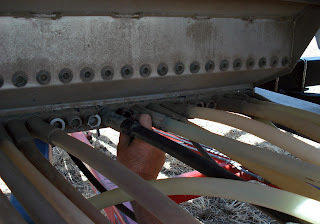 It is then easier to see that the level of fertilizer in the left hopper's window (the narrow strips located in the center of the front panels) has no visible fertilizer heaped behind it, while the right has quite a bit. 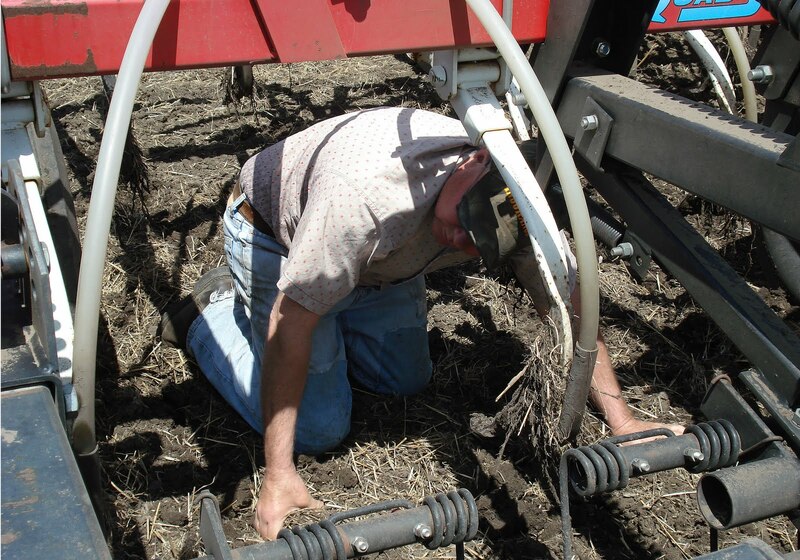 Above: Jim crawls under the drill to check each air hose. He should feel air coming from each delivery hole when he puts his hand under it. If there is no air blowing out, he knows that hose is plugged. 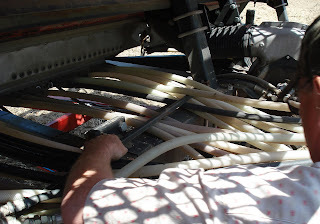 Above: Once Jim has located the hose without air flowing through it, he follows the line to where it is connected to the drill and pulls the hose from its connection. 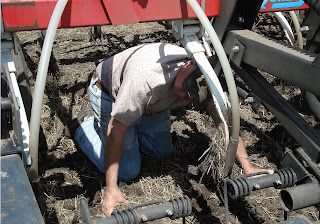 Above: Jim then climbs underneath the hoses to better reach into the plugged connection. He uses a piece of stiff wire to probe out the block. 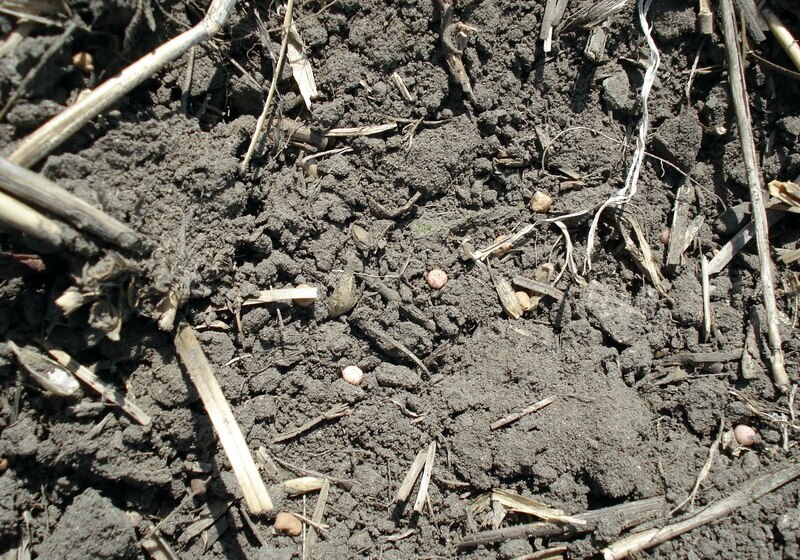 In this case it was a hard chunk of fertilizer. Above: Once all the hoses are working properly, it is time to refill the hoppers. 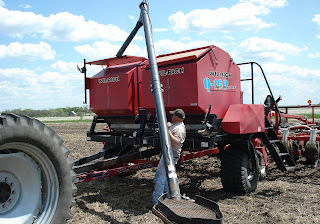 The auger Jim is moving into place is attached to the drill, a convenient feature. 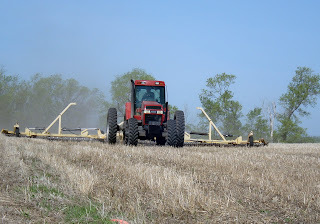 A nearby truck holds additional fertilizer. 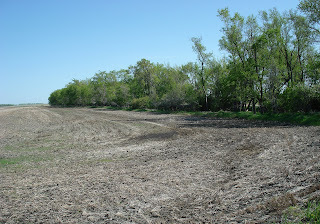 Above: Some areas of the field were too wet to work. 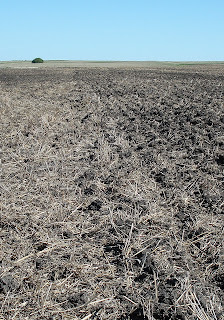 The left area is untouched, and a strong contrast to the rows made by the drill. 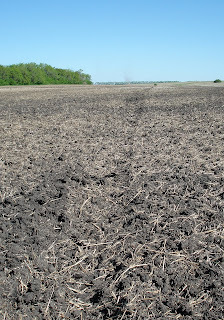 Above: A tire track is left by the rock picker driving through the wet ground. 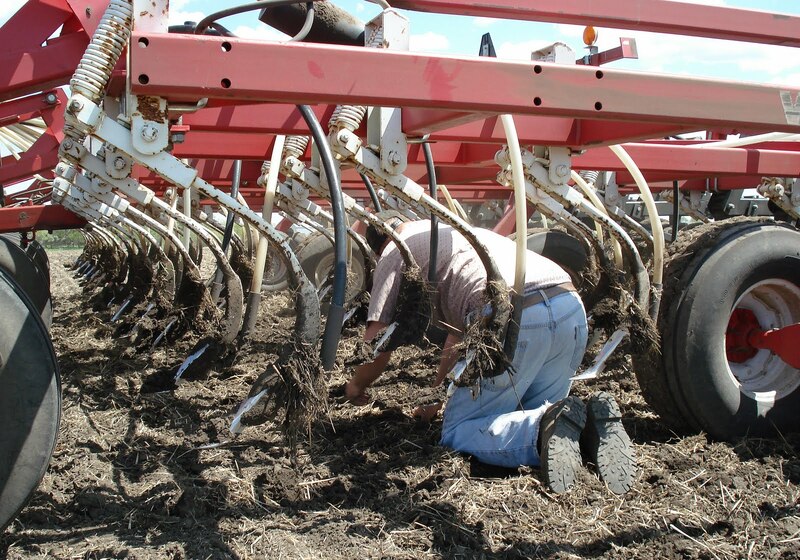 Above: Jim attempted to harrow the wet area, but too much dirt was sticking to the machinery, causing it to jam. 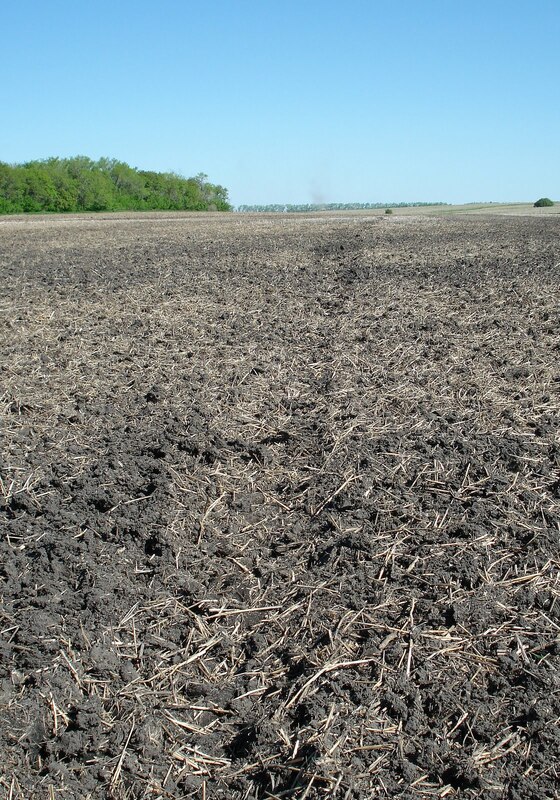 The ruts left from the tire are visible. 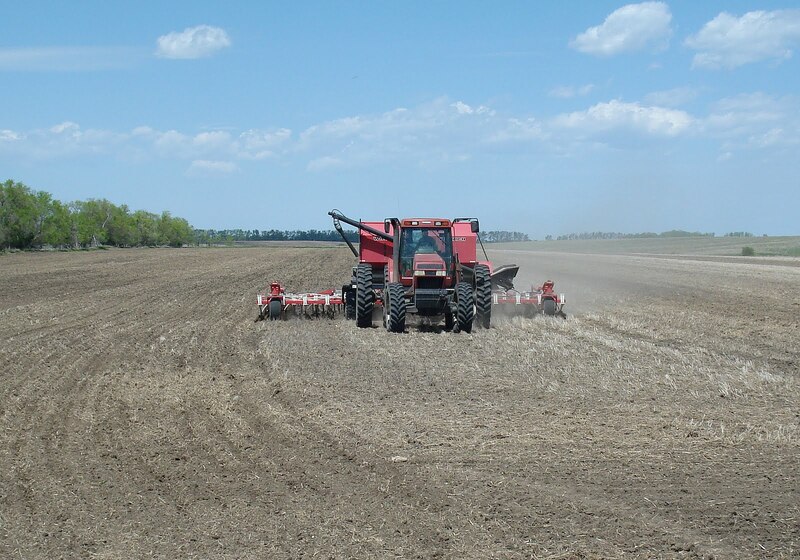 We hope to finish seeding this week, with the help of sunny, dry days.